It's Back-to-Back black-ish Wednesday April 26 on ABC! It's back-to-back blackish on ABC on Wednesday, April 26 beginning at 9/8c! Get ready for a full hour of Johnson family fun with two all-new episodes headed your way with some special guest stars in each. Bow's sister is in town to kick things off. Then it's decision time for Zoey as each member of the family has something to say about where she should go to college. Dre and Bow get especially sentimental at the possibility of their baby girl leaving home. Time goes by so fast, doesn't it? That's why you need to plan now for back-to-back black-ish coming soon to ABC! "Sister, Sister" – Bow's sister comes to town after filming a stint on a reality show, and they couldn't have less in common. 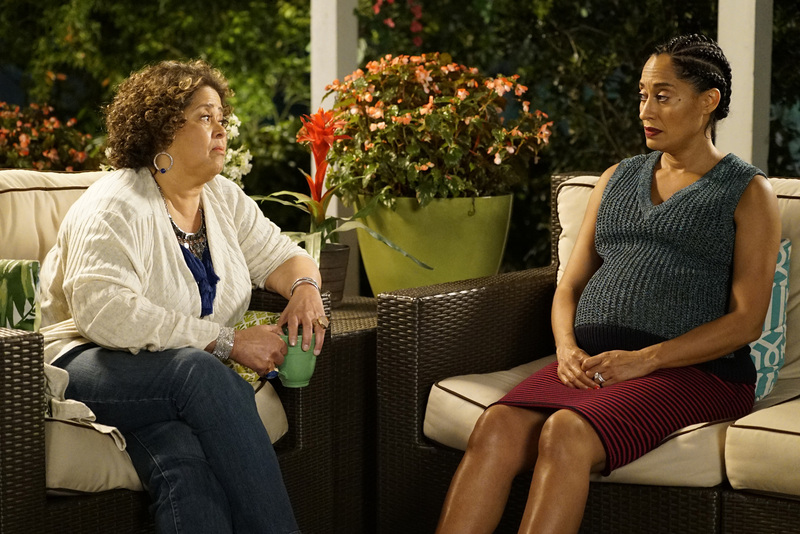 Meanwhile, Zoey suggests that Dre spend more time with Junior since she's leaving for college, and Jack and Diane decide to rebrand themselves, on "black-ish," WEDNESDAY, APRIL 26 (9:00-9:30 p.m. EDT), on The ABC Television Network. Guest starring in "Sister, Sister" is Rashida Jones as Santamonica, Daveed Diggs as Johan, Anna Deavere Smith as Alicia, Deon Cole as Charlie Telphy, Jeff Meacham as Josh and Nelson Franklin as Connor. "All Groan Up" – When Zoey gets into several colleges around the country, Dre and Bow begin to feel worried and sentimental. They reflect back on memories they've had with the family and wonder what life will be like without her around all the time. 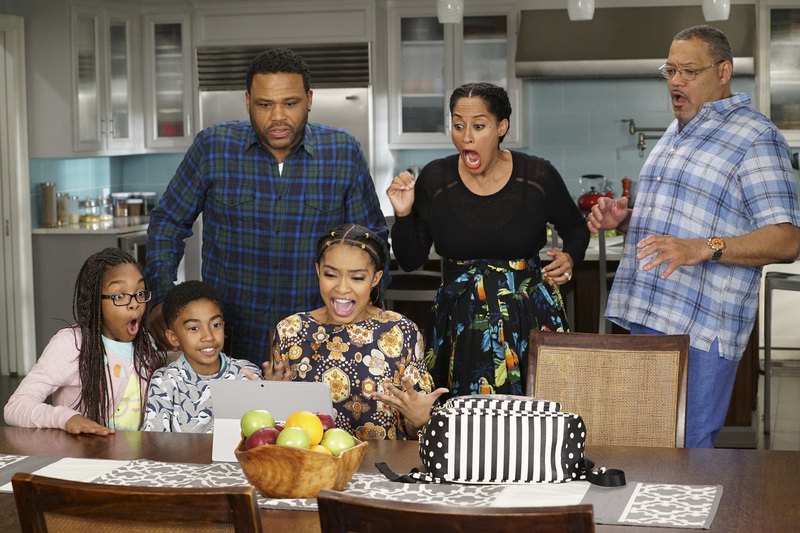 Pops enlists the twins to try and sway Zoey to go to college in a city they want to visit, on "black-ish," WEDNESDAY, APRIL 26 (9:30-10:00 p.m. EDT), on The ABC Television Network. Guest starring in "All Groan Up" is Deon Cole as Charlie Telphy, Jeff Meacham as Josh, Nelson Franklin as Connor and Annelise Grace as Megan. CHECK OUT SOME HIGHLIGHTS OF THE SEASON! "black-ish" stars Anthony Anderson as Andre "Dre" Johnson, Tracee Ellis Ross as Rainbow Johnson, Laurence Fishburne as Pops, Yara Shahidi as Zoey Johnson, Marcus Scribner as Andre Johnson Jr., Miles Brown as Jack Johnson, Marsai Martin as Diane Johnson, Jenifer Lewis as Ruby, Peter Mackenzie as Mr. Stevens.